Green light – An artistic workshop explores a variety of perspectives on migration and belonging, eliciting exchanges of knowledge, experiences, and values. It suggests new models of community and provides a forum for discussing the current geopolitical issues around global and internal migration. Green light – An artistic workshop is thought of as a welcoming act that shines a green light to asylum seekers, migrants, and refugees. In presentations of the workshop elsewhere, asylum seekers and refugees are joined by members of the public and student volunteers in building lamp modules based on a design by Eliasson and in an educational program, called Shared learning that comprises seminars, lectures, artistic interventions, psychological and legal counselling, and creative workshops. Given that Japan accepts very few asylum applicants into the country, for Yokohama the Green light project has been adapted to focus on examining the barriers to integrating people from different backgrounds that exist in Japanese society today. 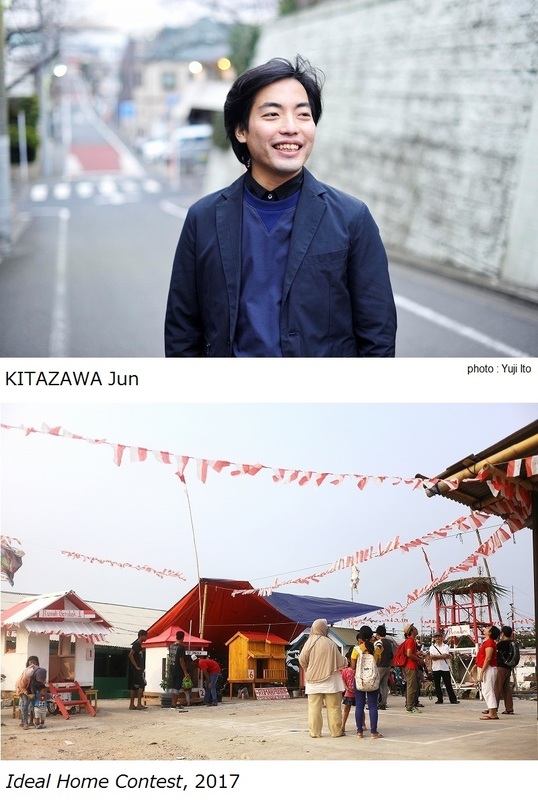 The shared learning on October 22 will be led by the artist KITAZAWA Jun who will invite participants to imagine a city where inclusion and co-existence are possible. In this session of shared learning led by artist, KITAZAWA Jun will give a talk on his experience of migrating to Indonesia in 2016 and working on the project “Ideal Home Contest” with a community in Jakarta whose residents have been forced out of their homes as a result of urban development. After his talk, he will invite the participants to work on a collage to imagine an ideal cityscape in Minatomirai where people with different cultural background could co-exist. * Lamp building workshop will not be held this day.